Wives can be chosen three ways. Two give horrible results, but one is foolproof! Young man, guarantee a great marriage. Ignore beauty. Question favors. Marry a woman who fears the LORD, and she will treat you like God intended Eve to treat Adam. The marriage advice here will save you a life in marital hell. 10 A woman of valour who can find? for her price is far above rubies. 11 The heart of her husband doth safely trust in her, and he hath no lack of gain. 14 She is like the merchant-ships; she bringeth her food from afar. 15 She riseth also while it is yet night, and giveth food to her household, and a portion to her maidens. 18 She perceiveth that her merchandise is good; her lamp goeth not out by night. 22 She maketh for herself coverlets; her clothing is fine linen and purple. 24 She maketh linen garments and selleth them; and delivereth girdles unto the merchant. 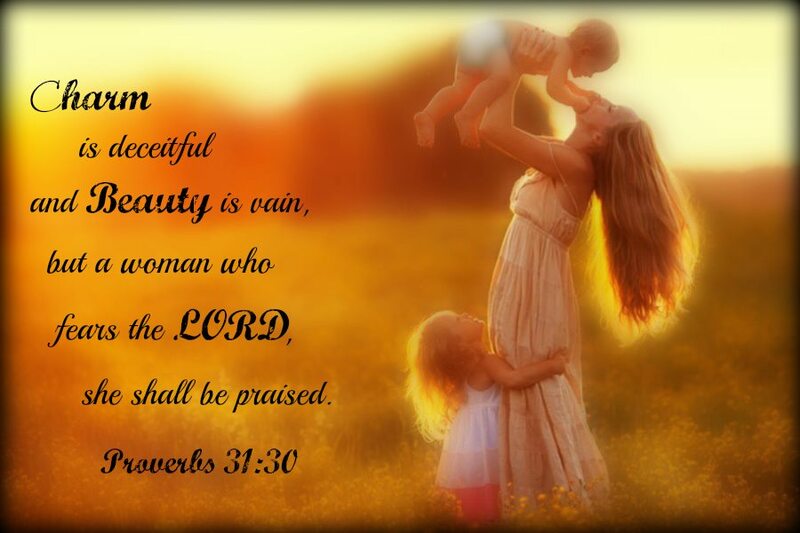 30 Grace is deceitful, and beauty is vain; but a woman that feareth the LORD, she shall be praised.